Many people are very familiar with the situation when, gathering inCycling or hiking, you try to take only the most necessary, easy and shove it all into your backpack. Final packaging is possible with a ninth time and half of the things still remain at home. 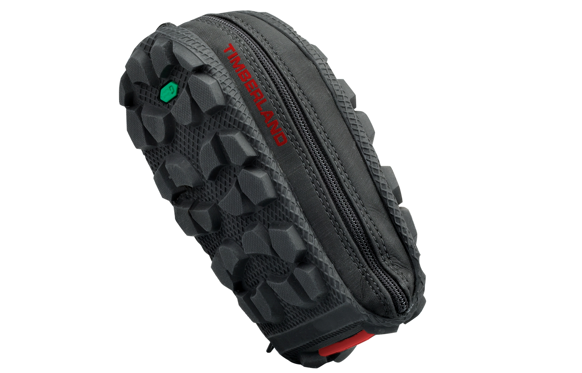 It is for such cases and not only for them that the folding footwear of the well-known Timberland brand - folding shoes that folds in half without damage to the sole, fits a minimum of space and weighs almost nothing! These unusual folding sneakers have not been news for a long time. 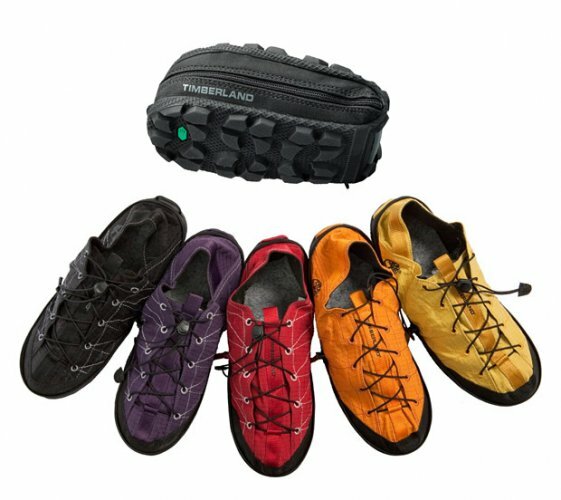 Timberland launched the Radler Trail Camp series back in 2011. Each slipper weighs only about 200 grams and folds in half thanks to a firm and elastic sole. Lightning keeps folded sneakers and protects the textile part from moisture. Such sneakers can always be carried in a pocket, in a backpack or on the belt as the most necessary things. To the shoe is attached still a removable insole ofNatural sheep wool. The upper fabric part is sewn from a durable waterproof fabric Ripstop, which dries quickly. 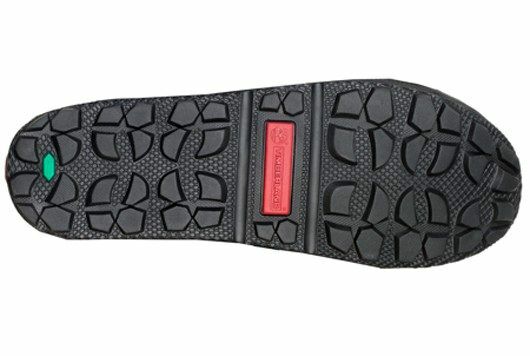 The sole with protectors protects the foot from slipping. 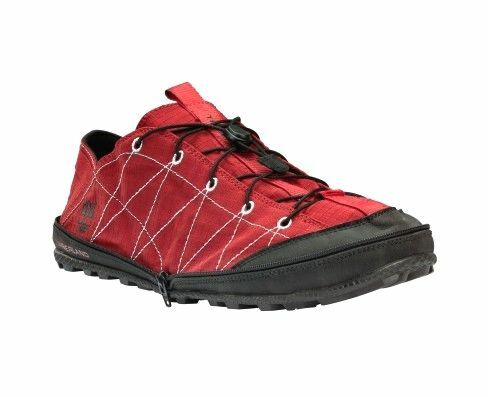 Folded shoes can be used as a waterproof cover for things in the hike. 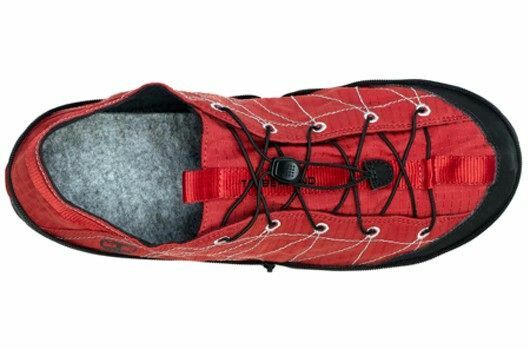 In general, no matter how you look - some advantages of pocket folding shoes!